There will be more wit than erudition, more imagination than profundity … performance will bear marks of the untutored and rude vigour of thought, frequently of great variety and singular fecundity. It sums up Elvis Golden Records Volume 1 quite well. human beings, ‘inevitable and limitless’. He was not necessarily the father of American ambition but he was adamant that it was different from what had gone before and that the possibilities and consequence could be enormous. Others who have written about Elvis have mentioned Walt Whitman and also Herman Melville. Comment, though, has been restricted to saying no more than Whitman, Melville and Presley are all American artists and democrats, as if the mere mention of an actual poet in an essay on Elvis requires discreet footsteps. In Mystery Train – Images Of America In Rock And Roll Greil Marcus criticises Elvis for not giving an emphatic no to the tasteless elements of American culture. Marcus quotes the novel Bartleby by Melville with its hero who ‘prefers not to’ and argues that all serious artists must say no to something. But Marcus also uses Whitman to emphasise the importance of Elvis and so contradicts the Bartleby assertion. Both Whitman and Elvis were determined to contain everything. Whitman does say no but his no is different because he is saying no to saying no to anything. He rejects the discriminators. Our lives will not have the required grandeur unless we are sensitive to everything and welcome all into our sensibility. He does not respect racial or cultural birth right in the way of blues and country music purists. We are universal and share entitlement, the oppressed and the privileged. I am the hounded slave, I wince at the bite of the dogs. 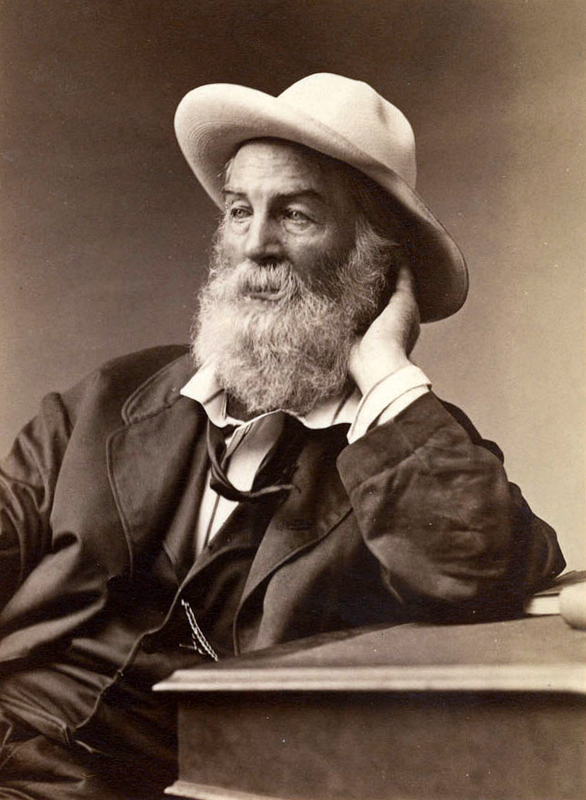 In the inclusive world of Whitman there is no patent on virtue and talent. It demands to be shared and copied. The vibrancy of contradictions is more important than identity. If we all have the same ambition to embrace the world, we will not be identical because there is so much that is diverse; Whitman describes himself as the arbiter of the diverse. But our potential to welcome all and experience it with the weight of memory means that every human being is sacred and that means we are all both individual and universal. Elvis needed to embrace not only the American continent but also his personal complexity. Of course, the tilt towards universality taken by Elvis may have been a consequence of the greed of Parker who wanted Elvis to appeal to as many suckers as possible. The purpose of Parker is, though, less important than the performer who is required to play. And Elvis did. And this by Whitman, written in the middle of the 19th Century, anticipates Elvis and rock and roll. Elvis has been accused of naïve narcissism and it was in his nature but Whitman would recognise the trait as a virtue, especially if personal delight is extended to others. Let him who is without my poems be assassinated. He is not, of course, criticising a failure to buy his book but an unwillingness to embrace his writing into a comprehensive sense of self and the material other. If his ambition embraces the stranger then the stranger has to embrace him. We have to engage. Stranger if you are passing meet me and desire to speak to me, why should you not speak to me? To the European ear, this quote may not mean much but its simple description of the responsibility for strangers to speak captures American optimism. When Elvis visited a French nightclub he posed for photographs with strippers and whores. He spoke to those who would speak to him. For all his faults he did the same with the fans, he would pose with the glamorous and the ugly, the slender and the obese. This does not make him a wonderful human being, merely an American. Roughly translated this means – you see that I am simple, that you are simple, one should not try for anything complicated. Both Whitman and Neruda imagine a state of grace for the common man but Whitman imagines it as momentary and random. Neruda insists, though, that mutuality, and not just indiscriminate universality, is important. The mutuality of Neruda requires the curiosity of Whitman but also a sense that dignity demands restraint as well as experience. y como era mi padre. The recognition of inevitably muted existence by Neruda challenges the universality of Whitman which is rooted in appetite. Translated it means – I walk, swim and search until I find you and then I will ask you your name, street and number, so that you receive my letters, so that I tell you who I am and what I earn, where I live and who is my father. This is not man in a new vast continent. What is best shared is our simplicity not our magnificence. Only this will endure. Magnificence dies in the second act. But Elvis had talent, he was the well-made man that Whitman promised. When Elvis was interviewed on board USS Randall he was asked what book was he reading. Elvis said Leaves Of Gold. The poems of Whitman are contained in Leaves Of Grass. Unfortunately, Elvis picked the wrong book. But the title is close. Elvis was nearly there. His initial promise that he could contain multitudes and stay healthy and clean was ultimately denied. Whitman is still waiting to be justified. Yet another well written and eloquently themed piece. Elvis contained multitudes, with or without the greed of Col. Parker. he was the artiste who broke the musical barrier between white and black America, he was the white artiste singing with a black voice.